Yay Pascha! My cheese Pascha turned out great this year. The texture was smooth and creamy and it wasn’t too sweet. We barely made a dent in this one and there is a whole second one in the fridge for the picnic later today. – Be sure you have all of your equipment before starting this project. I’m pretty sure I made the recipe with too much fromage blanc because our kitchen scale is missing. Also, I think I don’t have to make 4 gallons of milk worth of cheese next year. Two may be plenty. – This cheese is worth the hard work when you see the looks on your friends’ faces at 3am on Easter morning. Yum. See you next week for something non edible. 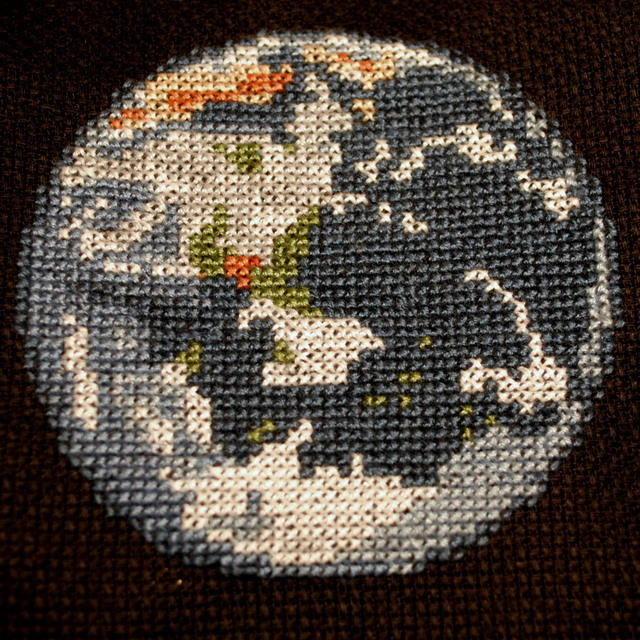 Happy Earth Day from 50 First Crafts! My mind is much more in Good Friday today than in Earth Day, but enjoy this teaser from project 17 (starting Monday). 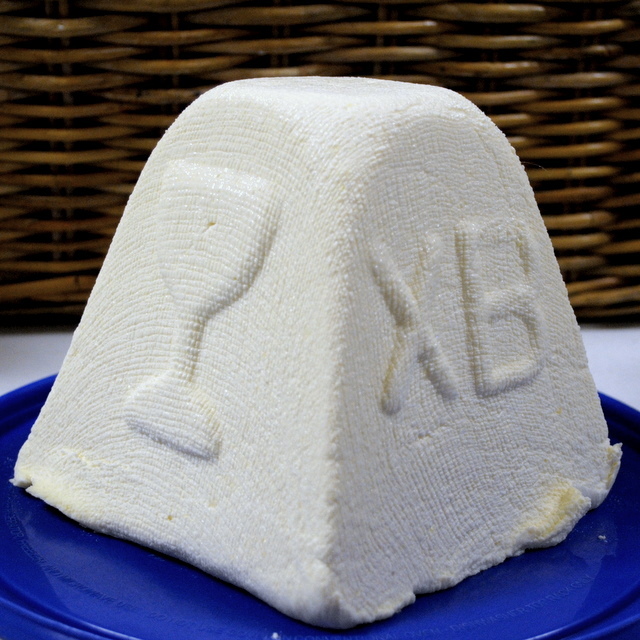 The cheese Pascha is now cozy in the fridge and will stay there until it is time for us to bring our Easter basket to church late Saturday night. I’ll post a final picture on Sunday. You are currently browsing the 50firstcrafts blog archives for April, 2011.